Yeah it’s been updated with footage from 10 talent from the upfronts, you can tell cause they’re wearing the same outfits from the event. Well spotted. It felt like they had rushed the original to air and weren’t happy with it so decided to update it. But it seems they didn’t spend the bucks to get all the personalities in to record those and just decided to do kill two birds with one stone and do it during the Upfronts when they were all together. Just 10, doing it on the cheap, again. Do you like the 10 Peach name for a TV channel? Do you like the 10 Peach font/branding? What’s with the double votes? Yes AND no, explain yourselves! Sure… I’m of the opinion that the entire package across the network including Peach is great, but that the name is underwhelming at best. Sorry about that. This is the first poll I’ve ever set up. wasn’t sure how to do it. Will it wreck the poll, if I change it now? Edit: Apparently I can’t change it anyway now. I need to get a moderator to do it. Can a mod help here please? No was just curious why someone would vote both yes and no in that poll. I’ve asked a mod to fix it but still waiting. Love and hate it at the same time? I’m like that. I hate the name. I hate the logo. I don’t mind the graphics. 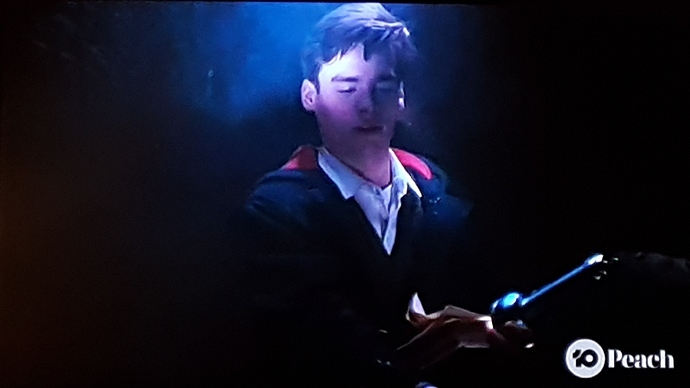 Did anyome notice the variation of the 10 Peach logo on Have You Been Paying Attention? in the intro tonight? 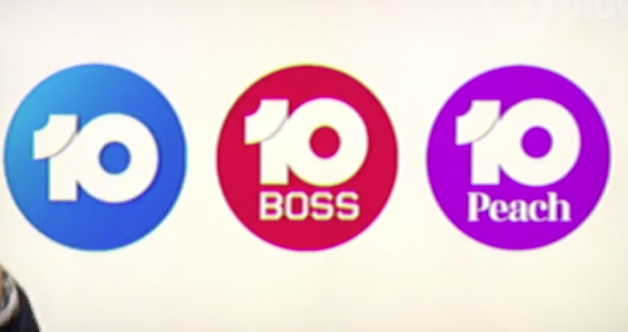 The Peach appears in the 10 circle in the same way they have done the third version of the 10 BOSS logo. If they’re going to stick with this font, I think this logo would look better as a watermark and logo. Anybody have a screen cap? You know, the reconfigured logos (with “BOSS” and “Peach” underneath the “10”) actually don’t look that bad - probably what they should’ve launched with if I’m being honest. Next step for 10: Tweaks to the presentation of the news! Yes. I think they need to change 10 Peach to that logo. I wasn’t a fan of it before but the text on both logos is just WAY too small! It should’ve just stocked to the right side of the 10. Because the 10 Peach logo right now is way too big. Probably the biggest watermark of all the channels. I hope Ten wasn’t intending on using the tagline “TV with a Twist” beyond the launch of the new logo because an opportunist has come along and lodged a trademark application for the phrase.